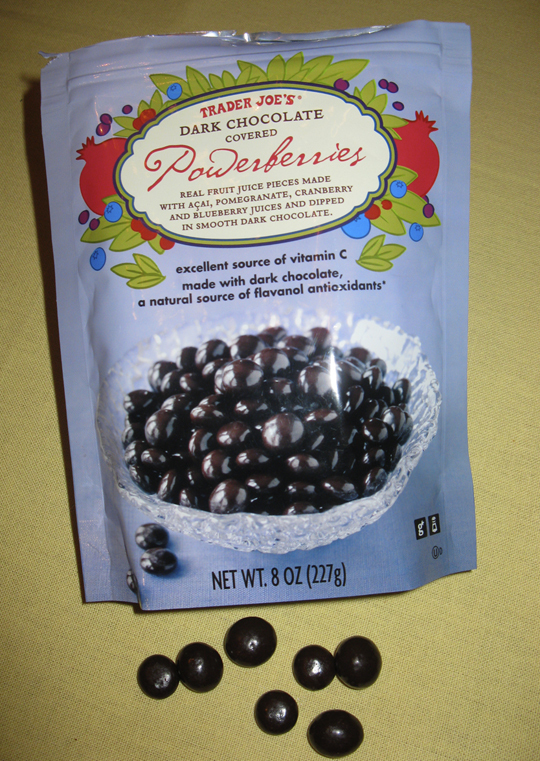 Yes, the name Powerberries seems hokey, but you’ll get over that the second that you bite into one of these chocolates. At first glance they appear to be chocolate coated espresso beans, but a surprise lurks beneath the surface. The filling is some delicious mix of the best berries ever created. But wait, there’s more…look on the label and you’ll note the healthy vitamin C, and flavanol antioxidants. This candy really is good and good for you! Buy more than one bag at a time, otherwise you’ll be back at the store the next day. I promise. Posted in All Things Chocolate. Bookmark the permalink.